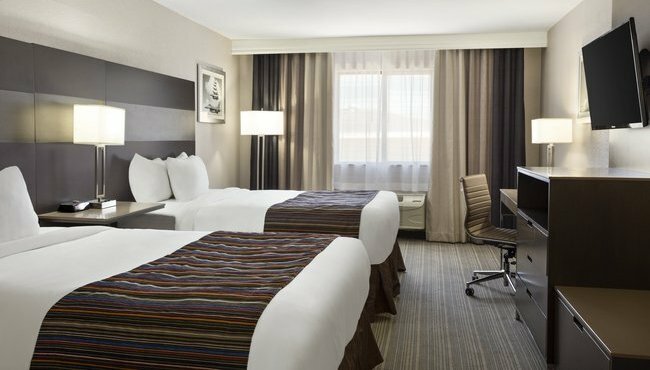 At the Country Inn & Suites in San Antonio, you can rest easy in a spacious room equipped to make your stay as convenient and productive as possible. 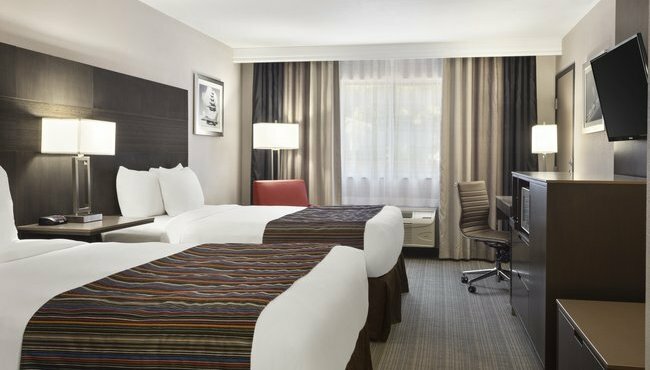 Clean and comfortable, our hotel rooms make it easy to fall asleep with plush beds and easy to wake up with an in-room coffeemaker. Catch up on current events by watching the cable TV with premium channels, or talk with friends and family about happenings at home using free high-speed Internet access. 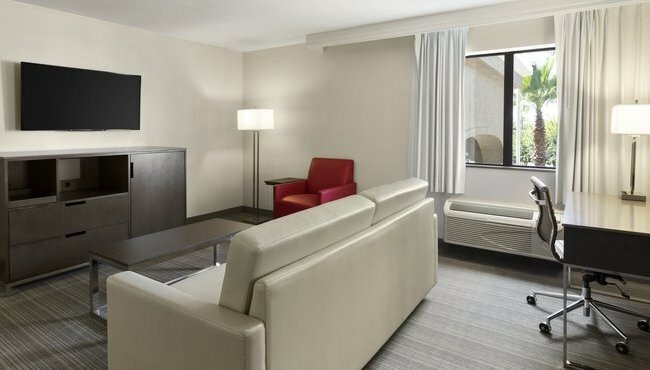 Business travelers appreciate thoughtful touches like a large work desk with a lamp, and families appreciate having a microwave and a refrigerator to make snack time a snap. For extended stays, book a suite with a kitchenette. 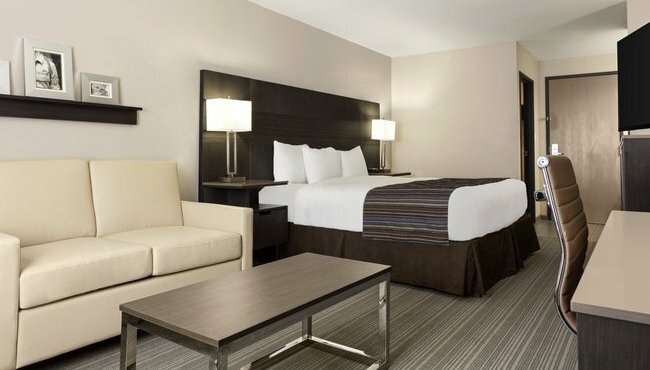 Offering free high-speed Internet access, microwaves, refrigerators and other standard amenities, our guest rooms are a great choice for an affordable stay in the San Antonio area. Have your choice of one king or two queen beds. If you're on a family vacation to attend a Basic Military Training graduation at Lackland AFB or if you want to cook your own meals for a taste of home, choose one of our suites and enjoy standard amenities plus a kitchenette.